A new page on Gaspé, Quebec, artist, Enid Legros-Wise has been added to the website studioceramicscanada.com. Enid’s extensive award winning career and forms of art are internationally recognized. Her explorations have taken her from almost miniature sizes to gallery-filling installations. 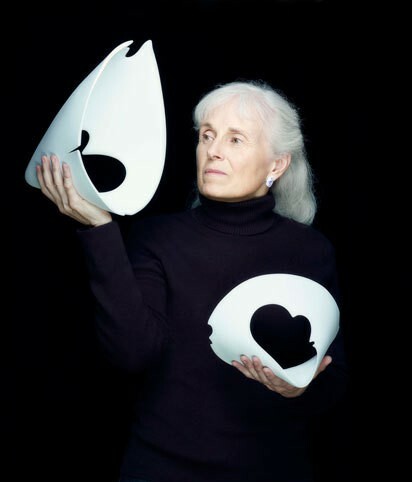 She pioneered porcelain work in Quebec and has developed major, multi-media, ceramic-based exhibitions. Stay tuned. More pages are in the works on artists such as Connie Pike, Stan and Jean Clarke, Luke Lindoe, Brendan Tang, Gaetan Beaudin and many others. This entry was posted in Ceramics, Contemporary, Exhibition, Gas-firing, Installation, Porcelain, Quebec, Reduction-firing, Sculptural, Studio Ceramics Canada and tagged enid legros wise, installation, Porcelain, quebec on July 30, 2014 by Barry Morrison.